CAPE GIRARDEAU, Mo. 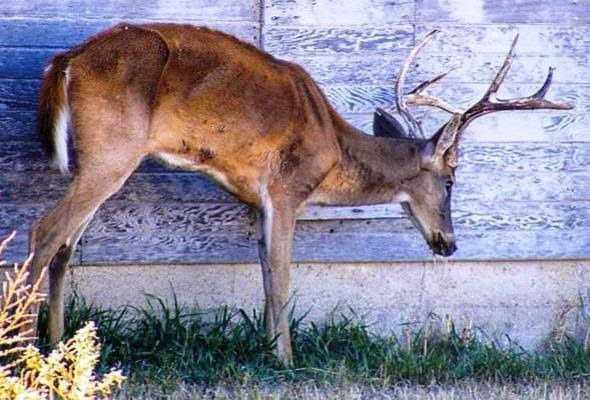 – The Missouri Department of Conservation (MDC) invites deer hunters, property owners, and others to a special public meeting to get information and have questions answered about chronic wasting disease (CWD). The meeting will be Tuesday, Oct. 23, in Perryville at the Perry Park Center in the Theater, at 800 City Park Drive. It will begin at 6:30 p.m. with a presentation by MDC staff and end at 8:30 p.m. The meeting is free, and no registration is required. Topics covered will include general information on CWD, MDC’s efforts to monitor and manage the disease, proper deer-carcass handling and disposal to help limit the spread of the deadly deer disease, how hunters can Share the Harvest of deer harvested in areas with CWD, MDC’s voluntary CWD testing efforts statewide all deer season, MDC’s upcoming mandatory CWD sampling for certain counties the opening weekend of firearms deer season, and more. CWD is a deadly illness in white-tailed deer and other members of the deer family, called cervids. CWD kills all deer and other cervids it infects. The disease has no vaccine or cure. CWD has been found in Missouri and is slowly spreading with 75 confirmed cases in free-ranging deer found in 11 Missouri counties: Adair, Cedar, Cole, Franklin, Jefferson, Linn, Macon, Perry, Polk, St. Clair, and Ste. Genevieve. More than 300 cases of CWD have been found in deer and elk in northwest Arkansas since early 2016. This has prompted MDC to increase CWD surveillance efforts in southwest Missouri. CWD has the potential to greatly reduce deer numbers and deer hunting and watching over time for Missouri’s nearly 500,000 deer hunters and almost two million wildlife watchers. Missouri offers some of the best deer hunting in the country, and deer hunting is an important part of many Missourians’ lives and family traditions. Deer hunting is also an important economic driver in Missouri and gives a $1 billion annual boost to the state and local economies. For more information on CWD and what MDC is doing about it, go online to www.mdc.mo.gov/CWD.